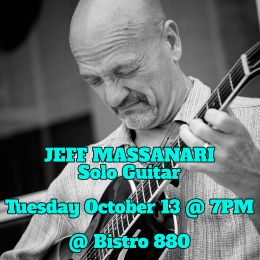 Jeff Massanari Solo Guitar Tuesday October 13 @ 7PM Bistro 880 39900 Balentine Dr., Newark, CA. 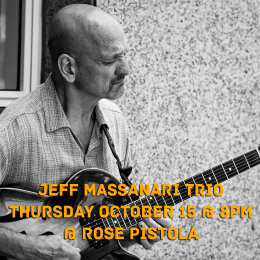 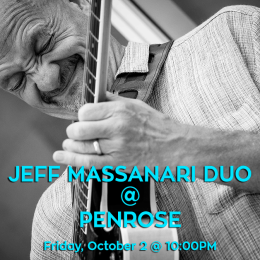 Jeff Massanari Duo at Penrose, a new restaurant in Oakland! 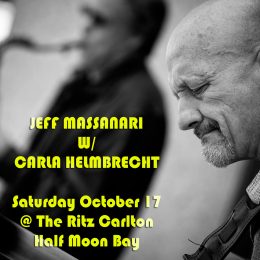 Show starts at 10PM, Friday October 2. 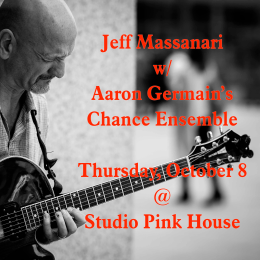 3311 Grand Ave. Oakland CA.